The movie is about a teacher investigating and revenging against the killer(s) – which she suspects is among her 37 students – of her three-year-old daughter. The movie is doing well in box office and is tipped to be one of the best films of the year. Takako’s performance has won great reviews as well. 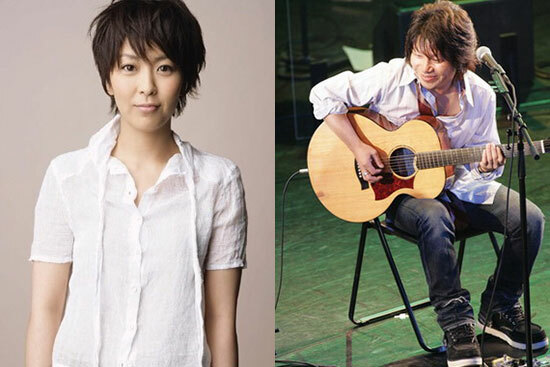 Popular Japanese actress-singer Takako Matsu, 30, has tied the knot with musician Yoshiyuki Sahashi, 46, on Friday (Dec 28). Matsu and Sahashi met each other in a musical event in 2001, but started their relationship in 2004. There were various reports that their relationship had ended over the years; citing Matsu’s father’s disapproval as major reason. Some Japanese papers however reported last November that the couple was still together and was planning their marriage, but Matsu’s agency denied that. According to Matsu, their marriage was not a sudden decision, but was carefully thought. She has no plan to retire from her entertainment career and hope that her friends and fans would continue to support her as always. Congratulations. Japanese music video for Minna Hitori (みんなひとり, lit. All Alone), a 2006 song by actress-singer Takako Matsu who kicked start her concert tour a few months ago to commemorate her tenth year as a singer. Takako’s singing isn’t bad, and she wrote her songs sometimes, which I admire. But I have always like her as an actress rather than a singer, and her acting seems to be getting better and better over the years.